Biennial plants are the least known classification of plants. Plants can be classified in one of three ways, taking into account their growing tendencies: perennial plants, annual plants and biennial plants. Perennial flowers return year after year with little to no encouragement, providing continuous garden blooms. Annual flowers only live for one growing season and need to be replanted every year. Biennials are a hybrid of the two; the first year is spent focusing on vegetative growth, the second year the plant blooms and completes its life cycle. Of those three Biennial plants are the least known and find their way into garden designs less often than perennials and annuals. Biennial plants are basically flowering plants with a two year life cycle. The first year, the seed grows to develop a strong root structure, strong stems and lush foliage. This allows them to store energy away for the second year where they come forth and shine. During the second season of growth, biennials put all of their energy into producing beautiful, showy blooms, fruit and seeds. At the end of this second season many biennials will reseed and then perish shortly thereafter. 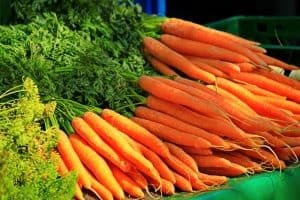 This often results in thicker, denser plant stands in future years making it hard for the gardener to realize a plant is actually a biennial variety. In order for some biennial plants to bloom they need to undergo vernalization, or exposure to a cold treatment for an extended length of time. This typically occurs during the winter season. If plant seedlings are exposed to cold temperatures prior to planting, it may trigger some biennials to complete their entire life cycle in a single growing season instead of two. A popular garden flower reaching approximately 2’ in height, Canterbury Bells are found in many home gardens. They are relatively easy to grow but prefer cooler locations; in hot areas they prefer some shade in the afternoon heat. 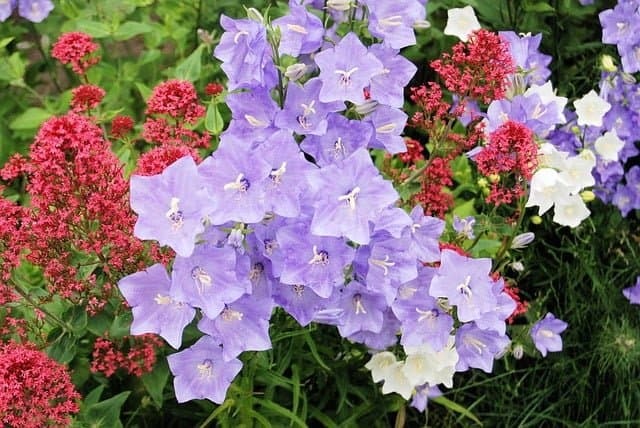 Canterbury Bell Flowers appear as large, dangling bells which open into cup-shaped blooms. Forget-Me-Nots grow well in shaded, moist locations such as wooded areas, or shaded ponds. Forget-Me-Nots grow to about 2’ tall on woody, hairy stems, developing tiny five-petaled, blue blooms with a bright yellow center. They spread easily through self-seeding, making them a great species to use when naturescaping (planting native species). Another gorgeously impressive biennial, foxglove plants can grow up to 6’ tall creating stunning spikes of flowers. Foxgloves thrive in a variety of sun conditions depending on the summer temperatures. In cooler climates they will do well in full sun; in areas where the temperatures climb higher, foxglove plants prefer partial to full shade especially in the midday. Flowers come in tubular blooms and are available in a variety of colors: white, lavender, purple, yellow, red and pink. Hollyhocks are an impressive plant in butterfly gardens, hollyhock stems can reach a staggering 9’ tall under the right growing conditions! This adds a lovely vertical element to a gardening space. Hollyhocks come in a variety of colors and bloom from the tip of the spiked stem to the bottom, creating a stunning display of blooms. Classic flowering Stock plants give off a luxurious scent from clusters of pink, purple, red or white blooms. Flowers begin blooming in spring and last through the end of the summer offering color for almost the entire growing season. Stock plants come in both single and double bloom varieties. 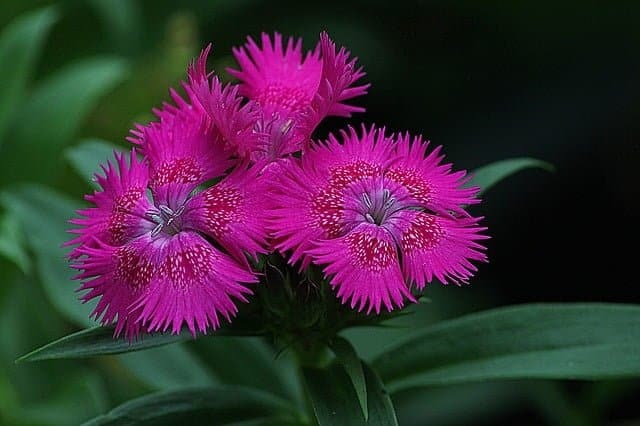 Also known as Dianthus, sweet William is a popular biennial plant in home gardens. A member of the carnation family, these button sized blooms give off an air of cloves. Sweet William flowers are available in shades of pink, red, white and purple. They are low growing (reaching a height of 7-18”) and make a great addition to a container garden. Biennial plants offer a unique option to flower gardens. Their first growing season is spent conserving energy while producing the green parts of the plant – root system, stems and leaves. After overwintering the plants come back in a glorious show of colorful blooms. They tend to grow into tall spires of flowers creating vertical interest in the garden landscape, making it well worth the wait to witness their beauty.